With such high ratings shown under the Tripadvisor application on our mobile devices, its hard to give Baan-Ying a miss since we were near her doorsteps. 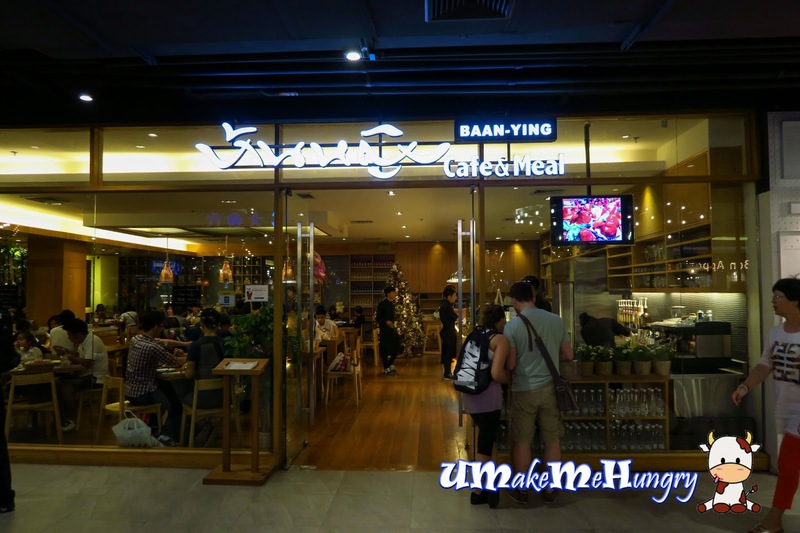 Baan Ying is a restaurant chain in Bangkok noted for its reasonable pricing and serving of Thai food. The woody feel of the interior from the flooring to the walls as well as cabinets under the warm lighting made the place rather cozy to dine in. Together with the festive seasons and decors, atmosphere was greatly enhance. 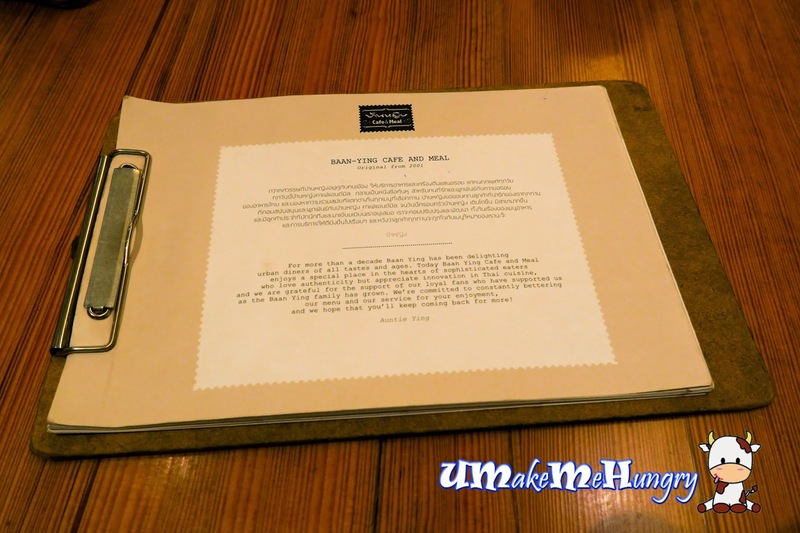 Menu consists of a few printed pages attached onto a wooden clipboard. 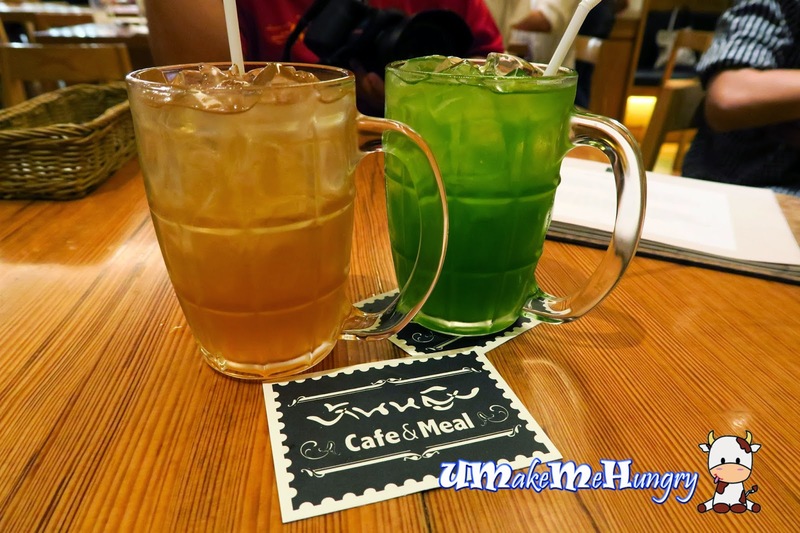 Out of the list of drinks, we had chosen Lemon grass drink and Pandan Leaf Tea. Lemongrass drink was decent, whereas Pandan Leaf Tea tasted abit on the artificial side with the luminous green under the bright lighting. 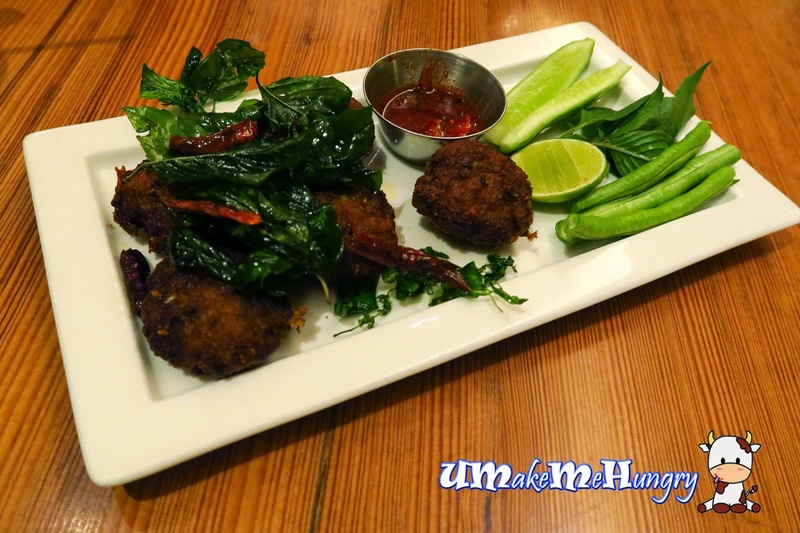 Deep Fried Minced Pork Salad with Thai Herbs was one of the sides recommended by the restaurant. I'm not sure why is it called salad, perhaps because of the presence of cut long beans, cucumbers and lime? 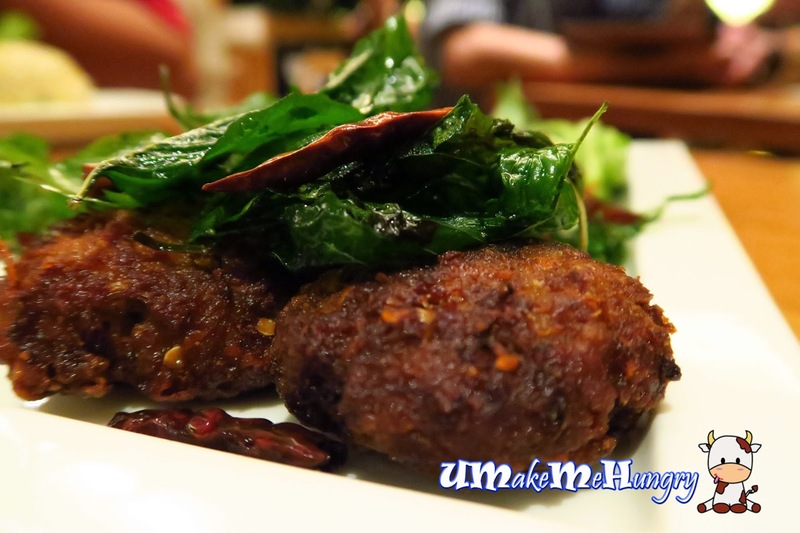 Minced pork formed the round size patty which was deep fried into dark brown in color. They were not too oily and easy to chill on. The infusion from dried chilli and thai herbs enhanced the taste of the dish. Ramen Noodle in Thailand...Well, it just never come across my mind but this Northern Style Soup was really something stomach comforting. At the first look, it reminded me of Ramen in Kimchi soup from the Korean Cuisine. 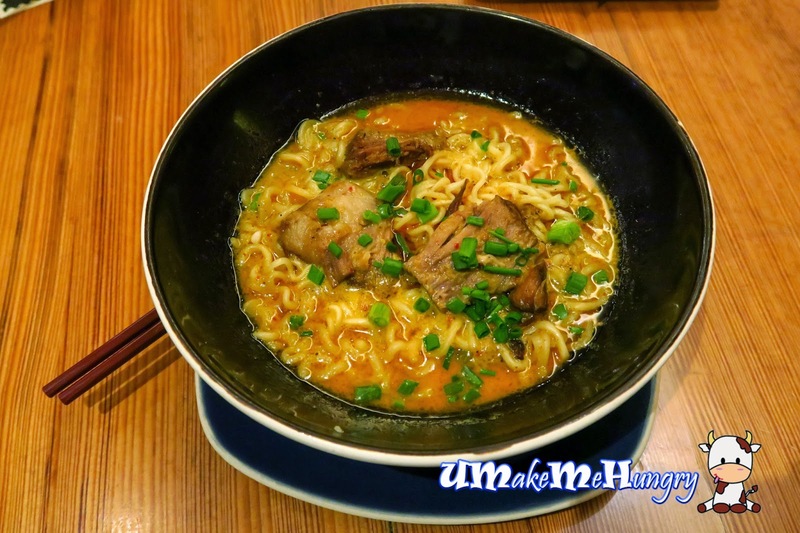 Roasted Pork was tender and ramen was rather springy. Thai Fried Rice has been addictive in my records. Their style never fails to entice me, let alone this non signature dish on their menu. Grains was aromatic and fluffy served on a plate with beautifully sliced cucumbers and tomato. 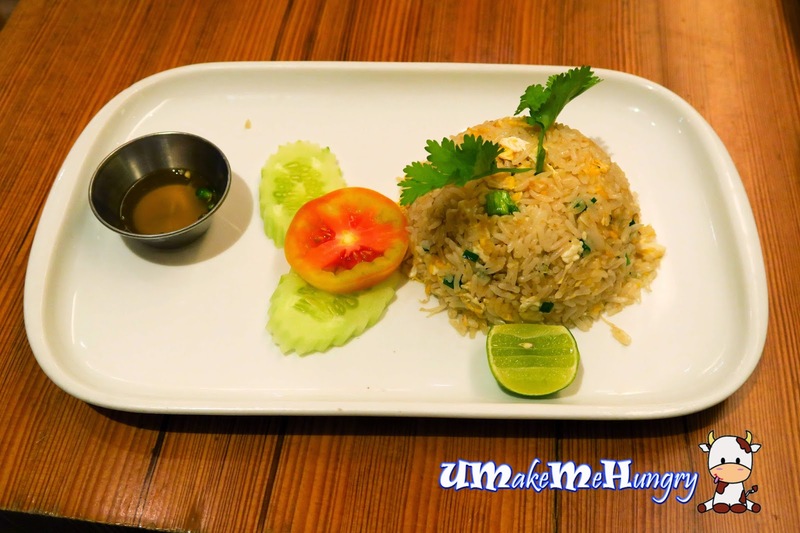 The two little stalks of coriander piercing through the heap of rice were also part of the presentation effort made. Besides having shrimps, eggs and crabs to bring out the flavours, condiments like lime juice and fish sauce was given.